In COMA GIRL, a victim of a tragic event lies in a hospital bed, at the mercy of friends and relatives who think she can’t hear them. But she SO can. 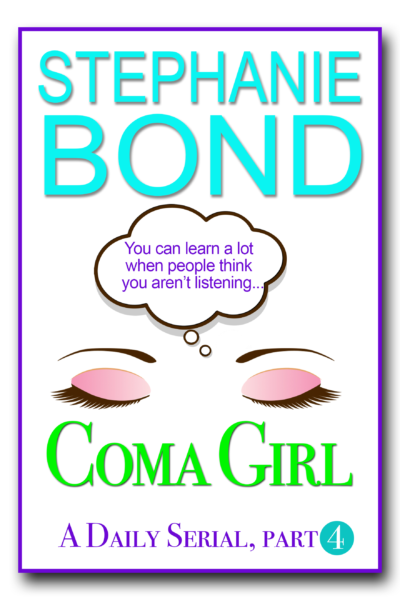 The COMA GIRL, Part 1 novella is a month’s worth of daily segments: JULY. The COMA GIRL, Part 2 novella is a month’s worth of daily segments: AUGUST. The COMA GIRL, Part 3 novella is a month’s worth of daily segments: SEPTEMBER. The COMA GIRL, Part 4 novella is a month’s worth of daily segments: OCTOBER. The COMA GIRL, Part 5 novella is a month’s worth of daily segments: NOVEMBER. The COMA GIRL, Part 6 novella is a month’s worth of daily segments: DECEMBER. Don’t miss out on this fun story that everyone else is talking about! 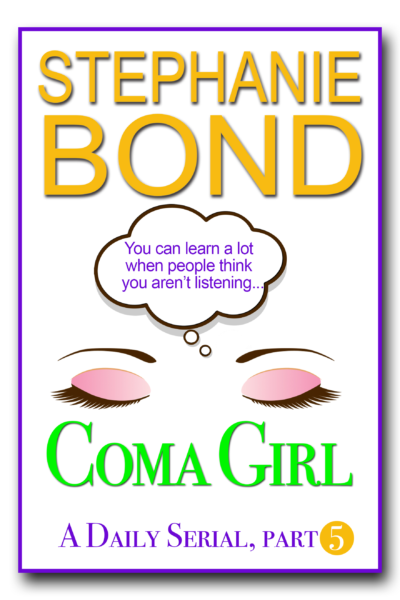 In COMA GIRL, a victim of a tragic event lies in a hospital bed, at the mercy of friends and r elatives who think she can’t hear them. But she SO can. Don’t miss out on this fun story that everyone else is reading and talking about!